The W.A.S.H. (Workshop in Art Studio and History) program is the foundation program for BFA students. It provides a unique opportunity for Sam Houston State University art students to participate in an experimental studio environment and explore contemporary issues in the visual arts. The only program of its kind in Texas, WASH students explore various aspects of contemporary art in both theory and practice. WASH is a nine credit hour program that must be takent in one semester. It includes Surface Studio (2D), Space Studio (3D) and a lecture component. 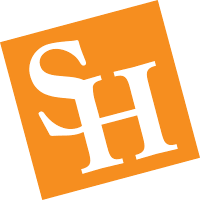 It is designed to be a thorough introduction into both Art, and the visual arts program at Sam Houston State University. The WASH building provides students with a large open studio that is flexible and accommodating. Students going through WASH attain a sense comradery with one another and establish bonds that will follow them throughout their academic careers in Art at Sam Houston State University.